Today Christians in almost all parts of the world live in religiously plural societies. Persistent plurality and its impact on their daily lives are forcing them to seek new and adequate ways of understanding and relating to peoples of other religious traditions. . . . While not a new challenge—just think of the calling of our forefather Abraham from the polytheistic Ur of the Chaldees or the walk of St. Paul around the altar to the “unknown god” in Athens—the intensity and urgency of the interfaith challenge today is unprecedented. Whereas in the past, other religions were “out there,” in today’s world with mass communication, increased migration, sophisticated technology, as well as a general mindset that celebrates diversity, religious encounters happen as much in our very neighborhoods as in “mission fields” or other exotic locations. Technically called Christian theology of religions, this discipline attempts to account theologically for the meaning and value of other religions, particularly in missionary and other encounter situations. Theology of religions is the Christian Church’s reflection on the meaning of living with people of other faiths and the relationship of Christianity to other religions. Theology of religions, however, is more than theology and doctrine. It has everything to do with our attitudes, mindset, love, ability to relate to the Other, and so forth. In other words, thinking and loving, reflection and relating both matter. In fact, they are all indispensable. One error is to concentrate solely on theological and doctrinal analysis. Anyone who has lived in multifaith environments knows from experience that people of faith meet at the personal level, which may foster mutual understanding, coexistence, and the feeling of neighborhood or misunderstanding, suspicion, and even conflict. Another error, similarly critical, is to bracket out all theological issues for the sake of alleged “dialogue”—be it the doctrine of the Trinity in relation to Muslims, the question of the ultimate religious end in relation to Hindus, or the issue of human personality/self in relation to Buddhists. This mistaken approach can also take the form of focusing exclusively on religious collaboration in socio-political and ecological improvement to the exclusion of any doctrinal conversations. Attempting a balanced approach, it is necessary to seek out resources at various levels of interfaith encounters. Naming them levels of “dialogue,” Stanley J. Samartha of India distinguishes (1) Dialogue of Life, in which participants are more concerned with issues that pertain to daily living and common values; (2) Dialogue of Action, which involves common work for justice and shared concerns such as HIV/AIDS and the cause of the poor; (3) Dialogue of Experience, which concerns daily spiritual experience and expressions; and (4) Dialogue of Experts, which is interested in theology and philosophy of the faith traditions.3 All these levels feed both mutual understanding and a missionary encounter. While all Christian churches today acknowledge the urgency and challenge of interfaith issues, Christian theology does not speak in a uniform way. In order to properly orient the discussion, it is useful to map out the kaleidoscopic diversity of views across ecclesiastical traditions and theological persuasions. This makes the theology of religions discourse also an intra-Christian ecumenical conversation and learning process. The most common way of trying to make sense of the maze of Christian responses to other religions is the threefold typology of exclusivism, pluralism, and inclusivism. Exclusivists hold that salvation is available only in Jesus Christ and that a personal response of faith is necessary. On the other end of the spectrum, for pluralists other religions are legitimate means of salvation. In the pluralistic mindset, there is a rough parity between religions, and therefore, there are many ways to God, more or less equal. The mediating group, inclusivists, hold that while salvation can only be found in Christ, its benefits have been made universally available even to those who have not heard the gospel. In other words, the inclusivist view maintains that among the saved there might be a great number of people from other faiths who never heard of Christ but for whom Christ died and who in some way or another were already “turning” to the God of Bible by following the light given in the structure of their own religion and trying as best as they could to follow moral precepts. The exclusivist option, in one form or another, has been by far the most common view among Christians and missionaries throughout Christian history. It was not until the advent of modernity in the eighteenth century that serious doubts were targeted against that confidence. Currently, the conservative segment of Christianity most strongly sticks with the traditional exclusivist position. From the perspective of the whole worldwide Christian church today, though, the largest group of Christians belong to the inclusivist camp because that is the official position of the Roman Catholic Church as defined by Vatican Council II in the 1960s. Unlike various forms of pluralism, that view is strongly Christocentric in its insistence that salvation can only be found in Christ. At the same time, unlike exclusivism, inclusivism opens the door of salvation to many who never heard the gospel. While pluralistic forces are vocal in the academia and among the specialists, pluralisms have not gained much following among ordinary believers and clergy, let alone missionaries. Among the mainline Protestants and Anglicans, a negotiation is underway between traditional exclusivism and (Catholic-type) inclusivism. Without unduly simplifying a complex set of issues, it can be said that the main question of theology of religions culminates in the negotiation of two basic biblical affirmations. The first is the foundational biblical teaching according to which God “wants all men [and women] to be saved and to come to a knowledge of the truth” (1 Tim. 2:3). A number of biblical passages such as John 3:16 speak of God’s universal love and desire not to forsake anyone. Balancing this principle of the “optimism of salvation” is another equally strong biblical conviction, namely, that “Salvation is found in no one else, for there is no other name under heaven given to men by which we must be saved” (Acts 4:12). Another way of expressing this principle of the “particularity of salvation” is John 14:6: “I am the way and the truth and the life. No one comes to the Father except through me.” The way one negotiates this seemingly simple dialectic has everything to do with one’s theology of religions. 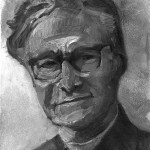 Missionary Lesslie Newbigin was born in 1909, and ordained in 1936 by the Presbytery of Edinburgh to work as a Church of Scotland missionary at the Madras Mission in India. A prolific writer, he was known for his book The Gospel in a Pluralist Society. His concern for taking the gospel to a post-Christian Western society was to make him a decisive influence on the theology of mission in the twentieth century. The biblical materials concerning the early church’s view of other religions and other gods are scarce. What can be said safely is that the first church adopted the Jewish monotheism (based on Deut. 6:4) and held to the universality of God’s person and nature, as well as the common origin and destiny of all people (Acts 17:28). At the same time, an intensive, intentional evangelization of all people is evident, both toward Jews and Gentiles. The most foundational tenet of faith for all Christian churches is the trinitarian confession of Father, Son, and Spirit. The one God of the Old Testament, Yahweh, is the Father of Jesus Christ, who came to save us in the power of the Spirit. As much as the confession of the Triune God may be a stumbling block to interfaith encounters particularly with our Muslim brothers and sisters, that confession cannot be compromised even for the sake of dialogue. At the same time, it doesn’t have to be the first topic to be discussed either! Trinity determines the Christian view of Christ as well. Only when Christ is confessed as truly divine and truly human, following the ancient symbols (creeds) of faith confessed by all Christian churches, can the Christian doctrine of the Trinity be maintained. Making Jesus merely an ethical teacher (as in Classical Liberalism) or only one “Incarnation” among others (as in extreme Pluralisms)—an embodiment of the Deity a.k.a. Hindu avataras—not only truncates the confession of the Trinity but also the biblical understanding of Christ. Many problems in theologies of religions derive from a less than satisfactory conception of the Trinity. A typical pitfall is the pluralistic “theocentric” effort to replace Jesus as the Way for the more elusive concept of God at the “center” to whom many “ways” lead. In a healthy trinitarian faith, Father and Son presuppose each other and can never be set in opposition. A similarly appealing error is the turn to the “Spirit,” which hopes to get around the centrality of Jesus and Father and makes the work of the Spirit independent from that of Father and Son. According to classic trinitarian faith, the works of the Trinity in the world (ad extra) are indivisible: in everything that the Father does, the Son and Spirit are involved as well, and vice versa. Similarly failing are approaches to other religions and mission that have a tendency to minimize the church and only speak of the kingdom of God and the building of the kingdom as the only goal. That is to fail to recognize the fact that the kingdom, the rule of God, is in itself a trinitarian process: The Son comes in the power of the Spirit to usher in the Father’s righteous rule, graciously allowing the community “instituted” by Christ and “constituted” by the Spirit (Orthodox John Zizioulas)—the People of God, the Body of Christ, the Temple of the Spirit—to participate in its coming. Of course, the kingdom is far wider than the church; but the church serves as the sign, anticipation, and tool of the coming rule of God. If the Triune God is the Creator of the world, it means that, on the one hand, there is some kind of preliminary knowledge and awareness of God among all people who have been created in the image of God, and that, on the other hand, all such knowledge, rather than being a human invention, has its source in the God of the Bible. As the early apologist Justin Martyr taught us, the “seeds” of the Logos (the Word), as a result of the Spirit’s universal presence, can be found in all cultures and religions. The human being as the image of God is “open” to receive revelation wherever truth—even partial and in broken form—can be found in the world and religions. This is not to minimize the necessity of God’s full self-revelation in Christ, communicated to the peoples of the world through the missionary proclamation of the gospel. On the contrary, it is to give glory to the Triune God who has already made preparations for the announcement of salvation in Christ. The Bible contains numerous examples of “pagan saints” who knew something—at times, even quite a lot—about God even though they had never yet received God’s (special) revelation. Theology of religions discourse has tended to focus too much on the question of the access to salvation of people in other faiths. On the one hand, the pluralistic views tend to compromise the uniqueness of the offer of salvation in Christ by making all faiths legitimate avenues of salvation. This is a statement in conflict with both Christian and other religions’ convictions. Christian tradition has always attributed salvation only to Christ. Followers of other religions would be offended to hear Christians tell them that their own faith does not offer any unique vision of salvation. On the other hand, the impression from exclusivism is that there is a tendency to open up the door of salvation as little as possible. This works against the all-embracing love of the Father, the all-penetrating presence of the Spirit, and the universal salvific effects of the Son. The Church has been given the simple twofold message, namely, that Jesus is the Savior and that the Church is sent even to the ends of the earth to preach the gospel of Christ. Let the Church be faithful in that belief and mission. An important aspect in the process of “othering” is to resist the tendency, so prevalent in secular societies of the Global North and in many forms of religious pluralisms, to draw the Other under one’s own world-explanation and thus deny the existence and possibility of genuine differences among religions. It is an act of insult rather than a sign of tolerance to tell the believer of another faith that against his or her own self-understanding no real differences exist in beliefs, doctrines, and ultimate ends. With this in mind, Christians, along with representatives of other faiths of good will, should do their best to help governments and other authorities to secure a safe, noncoercive place for adherents of religions to present their testimonies without fear. The late missionary bishop Lesslie Newbigin reminded us of the fact that while for Christians the gospel is a “public truth,” it has nothing to do with a desire to return to the Christendom model in which the state seeks to enforce beliefs. That should be unacceptable to all religions. In a truly pluralistic society, decision for beliefs can never be a matter of power-based enforcement. When Christians, Muslims, Hindus, Buddhists, Sikhs, Confucians, and followers of other faiths can without fear and threat meet each other in a free “marketplace” of beliefs and ideologies, genuinely missionary encounters are also possible. The unofficial paper “religious plurality and christian self-understanding” was crafted by twenty scholars from different contexts and denominations who specialize in religious studies, missiology, or systematic theology. 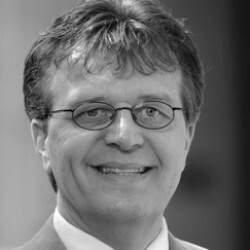 The scholars, including Fuller’s Dr. Kärkkäinen, worked for two years “in a significant effort of cooperation,” he confirms, to craft a theological approach to religious plurality, and, according the the WCC, “to employ a new approach to the difficult and controversial issues related to Christian self-understanding in a religiously plural world.” though the document was not commissioned by the World Council of Churches, it is made available on their website in its entirety (www.oikoumene.org/en/resources/documents/assembly/porto-alegre-2006/3-preparatory-and-background-documents/religious-plurality-and-christian-self-understanding.html). The recent Catholic interreligious document titled “Dialogue and Proclamation” encapsulates in a few pregnant sentences a holistic understanding by listing the principal elements of mission in terms of Christian “presence and witness; commitment to social development and human liberation; liturgical life, prayer and contemplation; interreligious dialogue; and finally, proclamation and catechesis.” The document stresses that “Proclamation and dialogue are thus both viewed, each in its own place, as component elements and authentic forms of the one evangelizing mission of the Church. They are both oriented towards the communication of salvific truth.”9 In other words, interfaith dialogue includes and makes space for both proclamation with a view to persuasion by the power of truth and love and to dialogue with a view to facilitating mutual understanding, reconciliation, and harmony. For the representatives of those religions that are missionary by nature such as Christianity and Islam, any dialogue engagement also provides a legitimate opportunity to try to persuade the other parties of the supremacy of one’s own beliefs. Bishop Newbigin tirelessly reminded us that Christian faith—or any other missionary faith—that is not eager and willing to share its deepest convictions in the hope of being able to convince the Other, does not really believe in the truthfulness and value of its faith! In order for the dialogue to be meaningful, it takes both commitment to one’s own beliefs and openness to listen carefully to the Other. A true dialogue does not mean giving up one’s truth claims but rather entails patient and painstaking investigation of real differences and similarities. The purpose of the dialogue is not necessarily to soften the differences among religions but rather to clarify both similarities and differences as well as issues of potential convergence and impasse. A successful, fruitful dialogue often ends up in mutual affirmation of differences, different viewpoints, and varying interpretations. The contemporary secular mindset often mistakenly confuses tolerance for lack of commitment to any belief or opinion. That is to misunderstand the meaning of the term tolerance. Deriving from the Latin term meaning “to bear a burden,” tolerance is needed when real differences are allowed. Tolerance means patient and painstaking sharing, listening, and comparing notes—as well as the willingness to respectfully and lovingly make space for continuing differences. A religiously pluralistic environment and society calls for tolerance that makes room for differences and facilitates mutual missionary enterprises as long as those arise from the self-understanding of each religion. This paper was originally written at the invitation of the Edinburgh 2010 Missionary Conference Centennial “Religious Plurality” study unit and posted on the conference website. 1. World Council of Churches, “Religious Plurality and Christian Self-understanding,” February 14, 2006, §§2, 3. www.oikoumene.org/en/resources/documents/assembly/porto-alegre-2006/3-preparatory-and-background-documents/religious-plurality-and-christian-self-understanding.html. 3. Stanley J. Samartha, One Christ, Many Religions: Towards a Revised Christology (Maryknoll, NY: Orbis, 1991), 88. 4. Jacques Dupuis, Toward a Christian Theology of Religious Pluralism (Maryknoll, NY: Orbis, 1997), 50. 5. “Religious Plurality and Christian Self-understanding,” §47. 6. Walter Brueggemann, The Covenanted Self: Explorations in Law and Covenant (Minneapolis: Augsburg Fortress, 1999), 1. 7. Gavin D’Costa, The Meeting of Religions and the Trinity (Maryknoll, NY: Orbis, 2000), 109–17. 8. “Religious Plurality and Christian Self-understanding,” §27. 9. “Dialogue and Proclamation,” by the Pontifical Council for Inter-Religious Dialogue (May 19, 1991), §2; www.vatican.va/roman_curia/pontifical_councils/interelg/documents/rc_pc_interelg_doc_19051991_dialogue-and-proclamatio_en.html. Veli-Matti Kärkkäinen, professor of systematic theology, has participated in a number of working groups of the World Council of Churches and numerous international consultations.